More than a dozen protesters marched to the house of San Francisco Mayor Ed Lee today, calling for his resignation to the wake of recent police shootings, which the protestors said are related to rising rents and displacement in the city. At noon, the protesters, some with the San Francisco-based group Poor Magazine, gathered in front of the Glen Park BART station before marching to the mayor’s house. 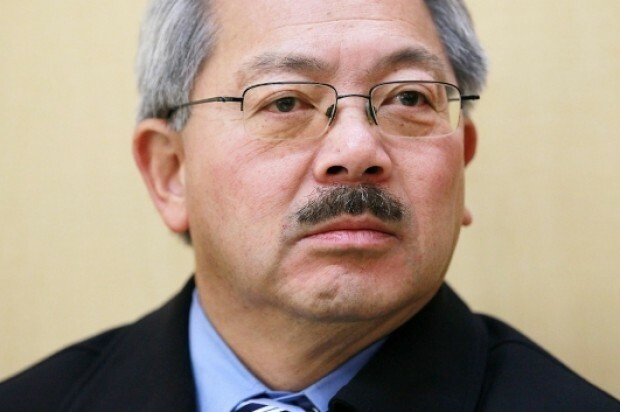 “Ed Lee is selling this community and killing the people in San Francisco. His policies are involved in the displacement and murder of our people,” activist Lisa Gray-Garcia, one of the event’s organizers, said as she addressed the crowd. “We talk about displacement and police murder, those are connected … and that’s the point of today,” Gray-Garcia said. 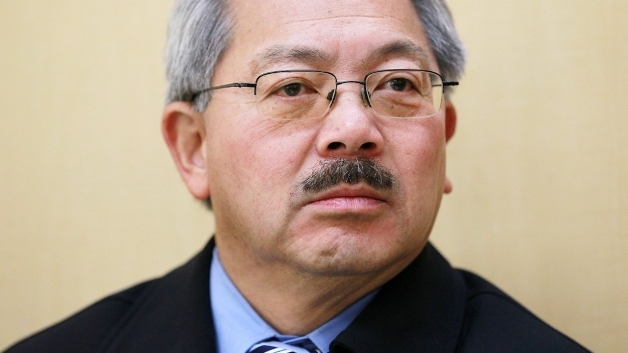 The protesters also called for the resignation of San Francisco police Chief Greg Suhr, citing the fatal shootings of San Francisco residents Mario Woods, 26, on Dec. 2 in the Bayview District and Alex Nieto, 28, in March 2014 in Bernal Heights. Several police officers followed the protesters to the location, where a parked patrol car blocked access to the home’s driveway. “Justice for Mario Woods! Justice for Alex Nieto!” protesters shouted as they gathered on the sidewalk across from the mayor’s home. “It’s not only police violence, we’re seeing economic violence that prompts much of the police violence — economic violence against our working people, our disabled folk, our elders who are struggling in a big way to stay here,” activist Tony Robles said. “We have a chief who is out of control. He has to go … We have a mayor that is completely out of touch and he has to go,” Robles said. The mayor’s office did not immediately respond to a request for comment on the protest.